Jessie Goergen (a.k.a. Jessie G.) hails from the small coastal town of Brookings, Oregon. Jessie’s heritage spans across four generations of commercial fishermen and she is no exception. The oldest of three, Jessie grew up in a tightly knit, labor intensive, feast or famine community where the women work right alongside the men. As a youngster, Jessie spent much of her childhood tagging alongside her father on the docks or aboard the hand-built family boat searching for Dungeness crab and albacore tuna and selling their catch at the market. Fishing wasn’t just to pay the bills; fishing was a way of life and Jessie’s early means to support her true passion—to become a performing artist. In high school, she started her first rock band and quickly learned what it was like to be paid to play! Her open eyes, love of music and determination to succeed earned Jessie a scholarship to attend Linfield College in Oregon where she graduated with a Bachelor’s Degree in both Political Science and The Fine Arts. In the summer of 2013, Jessie entered a “Battle Of The Bands” contest where she won the opening slot to perform before Grammy award-winning country music artist Gretchen Wilson. It was after that once-in-a-lifetime chance that the young, aspiring singer and hit-recording artist “clicked” naturally to form a magical working relationship and kinship. The newfound friendship later moved Jessie to make the bold decision to follow her dreams in Music City. Gretchen has since signed Jessie to Redneck Records and the two have been hard at work not only on her studio album, but on their upcoming summer tour where Jessie will be featured during Gretchen’s performance. In this edition of The Creative Spotlight, I had the pleasure of interviewing Jessie G. and asking her a few questions about her musical influences, her songwriting and recording process, her new smash hit single “Army Ranger” and her short and long-term future plans. Jessie G.: I started singing when I was in diapers! I used to send out little notes and call family members around my hometown inviting them to attend a talent show I was hosting in my living room. Once they arrived, I made them sit on our couch and watch me sing and dance. At a young age, I took piano lessons but quit. Later, I was thankful for the training I received, especially since Linfield College in Oregon required students to be proficient in piano to Graduate with a Bachelor of the Arts in Music. Now, I only play instruments if I’m writing by myself otherwise I leave it to the professionals. JG: It’s actually hard to describe my overall sound and musical genre especially since it is so heavily influenced by all the varied music I listened to when I grew up. 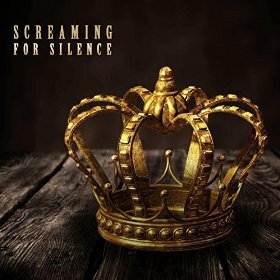 It’s definitely country with the lyric style but it is very rock influenced with the melodies and instrumentation. Sometimes people say they hear punk and hard rock influences in my music too. That makes a lot of sense to me since my dad blasted Aerosmith and Metallica during my entire childhood. My mom balanced it out with Dixie Chicks, Trisha Yearwood and Shania Twain! But, I’ll just say Country Rock is the genre! TCS: For the benefit of those who may not be too familiar with Jessie G. or your musical career, please describe for us how you started out from a small coastal town in Brookings, Oregon and eventually ended up being a lead singer? JG: I was born and raised in a commercial fishing family. We have been farming the seas for 4 generations. With this hard feast or famine lifestyle, I learned at an early age what it meant to work hard. I also learned the skill of being able to live as a self-employed entrepreneur. I grew up competing in all of the local fairs, talent shows and country showdowns that my county and state had to offer. In these competitions, I regularly won first place which encouraged me to keep pursuing a musical career path. Equally, I received a college scholarship for vocal performance and continued to hone my craft. In my heart, I knew that God gave me this gift to share with the world and I knew I would never completely give it up, but I never considered it as my primary career until I met Grammy award-winning Gretchen Wilson. She helped make my dream of becoming a performing artist a reality. TCS: Jessie, could you tell us a little bit about your experience competing in the “Battle of the Bands” and how that led to your being discovered by Gretchen Wilson? JG: When I heard that legendary country recording artist Gretchen Wilson was coming to town and there was a chance to open up for her I literally JUMPED at the opportunity. She was the only relevant female performer in the country and rock scene that truly inspired me. I grew up singing her songs in the competitions I mentioned. I always loved her sound and style. By listening to her music, I could tell she was a true badass. So, I entered into the “Battle of the Bands” and earned the opportunity to open for her! When the time came to meet her after our show, I was honest and real with her. I asked her what I needed to do in order to get to where she is today. Meeting her was truly a career changing moment. TCS: How excited are you about the release of your brand-new single “Army Ranger” co-written with Melanie Meriney and Michael August? JG. : To say I am excited is an understatement. This is definitely the proudest I’ve ever been about my music! TCS: Can you share some of the background on the filming of the official music video for “Army Ranger”? JG: At the time, we had a small budget and limited resources so my friends, who are all active service members, agreed to gather their gear and uniforms. They even agreed to take part in my video too! I was also convinced to have my real-life boyfriend, who currently serves in the Army, play a part in the recording. We share a steamy kiss at the end. It’s pretty amazing to have people I love be a part of the production. TCS: Personally, one of my favorite tracks off your new album is a song called “Drop A Line” which was co-written alongside Joshua Withenshaw and Davis Branch, and produced by Grammy-award winning entertainer Gretchen Wilson. Can you share with us some of the background behind you’re hit? JG: The track, “Drop A Line” is definitely one of my favorites too. I wanted to include a fishing song because of my family lineage with commercial fishing, but I also wanted it to be clever. So, we decided to create a scene of fishing and fishing words with the double entendre of love. JG: At first you have to work through many things. Stage fright. Not choking. It took me years to get to a place where I could be fully present on stage. It took a long time to be comfortable enough in my stage presence and to be able to improve speaking to my audience. I’ve definitely come a LONG way since the beginning. TCS: Tell us about the background story behind your performance of “You Lit a Fire” at the BULL Sessions in the Bloodworks Live Studio? JG: I wrote “You Lit A Fire” a while ago with Davis Branch and Matt Hundley. That song is a very conversational and vulnerable song. The Bloodworks Studio version is one of the first recorded performances released so far. I was so emotional singing it that day. I can’t wait until we release it on the record. TCS: Could you tell us where some of the coolest and strangest places that you played during the course of your career and what you learned from the experiences? JG: The coolest place would be in an Apache Helicopter Hanger. The strangest or weirdest place but a ton of fun, was someone’s backyard. I’ve learned that if you play for 2 people or 20,000 people you still have to bring your 100% every time. TCS: What is the inspiration behind “Cardiac Arrest?” It’s a great song. JG: I had the idea for this song in my head for the longest time. I wanted to write about the correlation between having a heart attack and suffering from a broken heart. I called my mom up because she’s a nurse and asked her what some medical terms were associated with having a heart attack and how to save someone and then the song wrote itself! JG: Prior to getting my big opportunity with music, I was going to practice law. I don’t know where life would’ve taken me but I’m really happy that it took me here! TCS: What does the short and long-term future look like for Jessie G.? JG: Touring, touring and more touring! When you are a new artist, you simply can’t rest! The fishing industry is closely related to the music industry; working on a fishing boat (just like the music industry) toughens you up. You can’t be sensitive or expect a big payday; you have to dive in, go 100%. The harder you work, the more likely it is for a greater pay off. I’ve been doing this since I was 12. In 1903, the Pennsylvania Legislature authorized the creation of the Pennhurst State School and Hospital, originally known as the Eastern Pennsylvania State Institution for the Feeble-Minded and Epileptic. The institution, which officially opened its doors on November 23, 1908, was the second such state-operated facility and served the mentally and physically disabled individuals of Southeastern PA.
From the outset, the Eastern Pennsylvania State Institution was overcrowded. Designed for epileptics and persons with intellectual and developmental disabilities, there was tremendous pressure to admit many different persons whom society, steeped in the eugenics movement, wanted removed from the gene pool, including immigrants, orphans, criminals, etc. Unfortunately, cruel punishments were common at the facility. Overworked staff responded to unruly patients by drugging them into submission or chaining them to their beds. Other residents were isolated for such long periods of time that they regressed and lost their will to speak, fight or even to live. In 1968, Philadelphia CBS correspondent Bill Baldini produced an exposé on the institution entitled “Suffer the Little Children” which uncovered the atrocities of the facility and created a sympathetic public sediment. His exposure led to a massive lawsuit. In 1987, the facility officially closed its doors and the network of buildings was neglected and left to the tortured, sad spirits. In 2010, to the shock and dismay of many – especially those in the mental and physical disabilities community – Pennhurst owners worked with Randy Bates of The Bates Motel Halloween attraction located in Glenn Mills, PA to turn Pennhurst’s historic lower campus into a commercial Halloween “haunted” attraction. In this edition of The Creative Spotlight, I had the pleasure of interviewing Jim Werner, the Operations Manager of Pennhurst Asylum, and asked him about the history, the eugenics movement, the five-part news report, the annual haunted attraction and “good to know” facts concerning the Pennhurst State School and Hospital. The Creative Spotlight: When the Pennhurst School and State Hospital opened its doors on November 23, 1908, how did the Eugenics movement influence the purpose of the institution for the feeble minded and epileptic and what problems ensued? Jim Werner: At the time, when the Pennhurst School and State Hospital opened its doors in 1908 in Spring City, Pennsylvania, people with special needs were perceived as a subclass very similar to how African Americans were regarded. 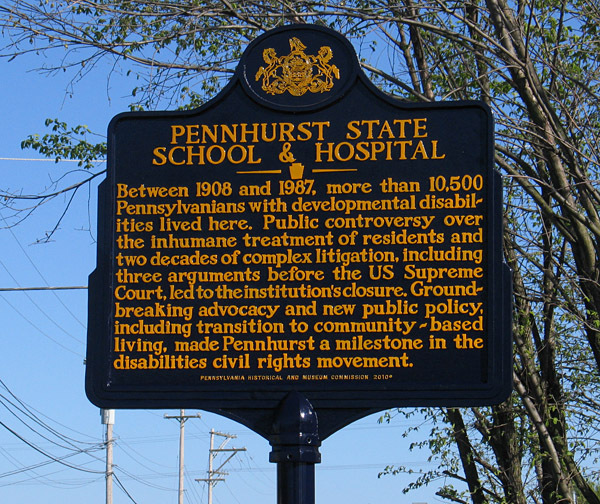 Pennhurst was part of a national trend to segregate individuals with intellectual and developmental disabilities from mainstream society. To that extent, I feel that the Eugenics movement was a flawed science in that it truly discouraged aiding the sick and poor. In the prior century, the ongoing idea was that by pulling those with special needs out of society it both protected society and also gave them a place to live safely. We know that without knowledge there can’t be change and as society was never exposed to the disabled, they were seen as an almost non-existent and unknown population. TCS: Can you provide us with at least three historical facts about the Pennhurst State School and Hospital that the average person wouldn’t know? When the facility opened in 1908, the administration building had not yet been completed so the Philadelphia building was actually used as the original Admin building. The Pennhurst School and State Hospital was never actually an asylum. TCS: How many building encompassed the Pennhurst facility and what were the buildings used for? JW: At its height, the Pennhurst School and State Hospital encompassed more than 30 buildings. The earliest of which, designed by Phillip H. Johnson, were constructed of red brick, terra cotta and granite trimmings and are connected by a series of underground tunnels that stretch for miles. Pennhurst was a self-sufficient community as its 1,400-acre site contained a firehouse, general store, barbershop, greenhouse, hospital with a morgue, auditorium, farm, power plant, and even a graveyard. TCS: When Pennhurst was built how many patients was it initially built to accommodate and how many occupants did it have at its fullest capacity? Additionally, what was the ratio of doctors and nurses or employees to patients? JW: The Pennhurst facility was initially designed to house around 500 patients, by 1912 the institution was almost immediately overpopulated. Once in, every patient was given a classification of mental prowess, either as an “imbecile” or “insane” and physically as either “epileptic” or “healthy.” Many of the people that were placed in the School and State Hospital should not have been. In 1946, there were only seven physicians serving over 2,000 patients with no room for the 1,000 still on the waiting list for admission. By the mid-1960s, the facility, housed 2,791 people, most of them children, which was about 900 more than the administration thought the buildings could comfortably accommodate. The staff was extremely overwhelmed and unable to properly care for the patients. TCS: In your opinion, do you feel that Pennhurst predominantly assisted in providing a positive learning experience for the patients or do you feel its programs and resources caused more harm than good? JW: For some of the patients, the answer is “yes” and for others the answer is “no”. The high functioning patients could work and live a pretty full life on site without the persecution of the general public raining down on them. However, with a budget shortfall and staffing issues the low functioning patients were not cared for in a manner that would help to improve their condition. By the mid-1960s, only 200 of the residents were in any kind of art, education, or recreation programs. TCS: In 1968, Bill Baldini, a local CBS Philadelphia newsman, opened the eyes to the horrors of Pennhurst when he exposed it during a five-part series entitled Suffer the Little Children. How did this expose change the daily operations of Pennhurst and Pennsylvania laws concerning the treatment of the mentally disabled? JW: Bill Baldini, then a fledgling TV reporter, heard about the Pennhurst School and State Hospital facility and went there one day to visit and was immediately appalled at the conditions. Baldini has said that when he left that day, he cried the entire way home in his car. His five-part exposé outraged the public and truly painted a picture of neglect and abuse in the Chester County, PA institution. Many of the regular news viewers found it very difficult to stomach the coverage. This state-funded school and hospital center was at the heart of the human rights movement that revolutionized this country’s approach to healthcare for the mentally and physically handicapped. This facility was one of the most striking examples of the maltreatment that was characteristic of such institutions––at one point, papers labeled it “The Shame of the Pennsylvania”. TCS: Who and how many are buried in the Pennhurst Memorial Cemetery? Can you tell us if these were patients of the hospital and why didn’t family members come to claim their bodies? JW: The Pennhurst Memorial Cemetery is located on the grounds of the Pennhurst State School and Hospital. From a time period between 1918 and 1933 there were 40 former residents are buried. Unfortunately, I cannot answer why they didn’t claim their bodies with anything other than just speculation. TCS: Can you describe for us some of the coverage that the Pennhurst School and State Hospital has received especially on shows like Ghost Finders, Syfy’s Ghost Hunter and the Travel Channel’s Ghost Adventures and Paranormal Challenge? JW: The Pennhurst School and State Hospital site has long been regarded as a paranormal hotspot by some of the shows within that genre and they draw specifically on that reputation. On Ghost Finders (Season 4, Episode 10 and Season 4, Episode 9 Pennhurst), join team members Rob, Heather and Amber as they capture some incredible evidence caught on camera. On Ghost Adventures (Season 2, Episode 12), Zak Bagans, Nick Groff, Aaron Goodwin travel to Pennhurst State School and Hospital in Pennsylvania, which was an institution for both the mentally and physically disabled. Pennhurst State closed in 1987 after several allegations of abuse, including dehumanization. On Ghost Hunters Live: Pennhurst State (Season 7, Episode 21), the Atlantic Paranormal Society (TAPS) team and some special guests spend six hours at Pennhurst State School and Hospital, with live interactive features so that the viewing audience can join in the chase. On Paranormal Challenge (Season 1, Episode 3), creator and host Zak Bagans invites two teams of amateur ghost hunters to spend the night locked down inside haunted hotspots. During the night, the teams will put their paranormal skills to the test by conducting a ghost investigation with high-tech gear and their own knowledge. The teams will then present their findings to Bagans and a panel of three paranormal experts who judge the teams on teamwork, use of technology and evidence collected during the lockdown. In this episode, the New Jersey Ghost Hunters Society take a more methodical approach to investigating the looming spirits of Pennhurst State School, while the rough-and-tumble Quest Paranormal Society employ an in-your-face plan of attack. TCS: While working at Pennhurst, have you personally experienced any paranormal encounters such as shadows, unexplained lights or apparitions? If so, can you please describe where and what happened specifically? JW: Fortunately, or unfortunately, while I’ve worked at Pennhurst School and State Hospital I have not personally experienced any paranormal encounters. TCS: In October of 2010, Pennhurst owners worked with Randy Bates of the Bates Motel & Haunted Hayride attraction in Glen Mills, PA was to turn Pennhurst historic lower campus into a commercial Halloween “haunted” attraction. With that, can you share what visitors to the annual event will experience during their trip to the Pennhurst Haunted Asylum? JW: Visitors to the annual event can enjoy four terrifying attractions featuring the Pennhurst Asylum, The Dungeon of Lost Souls, Containment and Mayflower After Dark. The Pennhurst Asylum is a “Hospital” themed walk through attraction featuring many items and artifacts that are salvaged from the original State School. Located on the upper floors of the old Administration building, which dates to 1908, this attraction features fine detail and realism through a combination of high tech animatronics, digital sound and highly trained actors. Enter the world of the underground as your soul is led down the steps of the past to go back in time to a labyrinth of dilapidated cells, never ending halls, and be forced to confront a series of human experiments that have gone horribly and deadly wrong. This experience includes CGI special effects, illusions, attention to detail and ghosts that have never left the halls. Containment is a new attraction for 2017 that takes you through a 1,200-foot-long gauntlet underneath the Pennhurst complex. Stationed as a government facility hidden underground for decades, you will bear witness to patients being experimented on in the most inhumane ways possible. Lucky for you, this research facility is still accepting patients! The brand-new sets and scares of this attraction are guaranteed to produce horrifying screams and nightmares to come. The final attraction, Mayflower After Dark, is a self-guided tour of the Mayflower Building, reportedly the most ghostly active of all the locations on the campus. It’s featured on Ghost Adventures and Ghost Hunters. No actors or props, visitors are sent at their own risk to wander through the dormitory, left caught in the sands of time just as it was 26 years ago. Search for spirits on your own, or let them find you first. Included is a museum of Pennhurst State School artifacts with real former employees taking you back in time to what life was really like for the patients. TCS: What can you tell us about the Pennhurst Memorial and Preservation Alliance? JW: The Mission of the Pennhurst Memorial and Preservation Alliance is to promote an understanding of the struggle for dignity and full civil rights for persons with disabilities, using the little-known history at Pennhurst. By sharing this tragic story as well as its landmark victories, they seek to educate citizens in local, national and international communities, to assure that we never go back. The Vision of the Pennhurst Memorial and Preservation Alliance is to be part of an effort to create a world-class museum to honor and memorialize the ongoing civil and human rights struggle of Americans with disabilities at a location of national significance. TCS: Where do you see the Pennhurst property in the next 20 years? JW: We very much hope that the essential buildings located on the Pennhurst site can be economically restored. From a historical perspective, we plan to have a museum or other venue on the property to recognize the site’s vast history and display artifacts. Additionally, our goal is to continue to operate and expand the Halloween haunted house attractions on a year-to-year basis. There is something to be said about Daniel Mason, the way he captures an audience with his soulful voice – brings back a taste of Blue Eyed Soul with a mix of Country, Pop and R&B – and writes with integrity and truth. Daniel Mason was born in Paris, Kentucky to a small impoverished family. Daniel emerged and matured his God given talent in the local church. Raised by a Mother that influenced him with musical artists ranging from Marvin Gaye, Michael McDonald, and Hall & Oates to Michael Jackson. From there he developed guitar and writing skills at an early age. As most serious hungry artists, he moved to Nashville, Tennessee in 2008 to establish himself as a Singer/Songwriter. After 3 years and 500+ shows as a lead singer of a local favorite Nashville trio Amber’s Drive, Daniel Mason is pursuing his own music career. He currently is out in support of his long-awaited debut solo album. In this edition of The Creative Spotlight, I had the pleasure of interviewing country soul singer-songwriter Daniel Mason and asking him a few questions about his musical influences, his songwriting and recording process, his upcoming tour schedule and his band’s new self-titled album. TCS: At what age did you first realize that you wanted to be a musician and what was the first instrument that you learned how to play? Daniel Mason: The first time I realized I wanted to be a musician was after hearing the legendary King of Pop Michael Jackson sing and perform at the young age of 5. The acoustic guitar was the first instrument I learned to play at the age of 11, but actually my voice was the first instrument that came naturally to me. TCS: How would you describe the Daniel Mason Band’s musical genre and overall sound? DM: I would describe the Daniel Mason Band’s musical genre as a blend of Soul, R&B, Folk, and Country which we call Southern Soul or Vintage Pop. TCS: What famous musical artists and/or bands were among your early influences and describe for us how they impacted and/or shaped your musical style? DM: As I mentioned, Michael Jackson was my first big musical influence that, after singing his songs over and over, helped develop my vocal and musical creativity. His vinyl 45 single of the song “Billy Jean” was my first record purchase as a child. In my teens, my parents bought me the Garth Brooks “No Fences” chord book and I learned every song. So, Garth was a huge influence as well. As my music and vocal matured I naturally found my home in the Soul/R&B world. I started getting more and more into 70s and 80s R&B/Soul music and that led me to discovering soul singers such as Marvin Gaye, Hall & Oates, Michael McDonald and pretty much all the artists/bands that came out of the Muscle Shoals era. TCS: For the benefit of those who may not be too familiar with Daniel Mason or your musical career, please describe for us how you started out and eventually ended up being the lead singer in the Daniel Mason Band? DM: It wasn’t until my junior year in high school that I started writing songs on a consistent basis. I played a few open mic nights and performed with a cover band for extra cash. My first real band was following college when I played in a Christian pop band called Another Level. We toured around the Kentucky area playing at college coffee houses and various festivals. After what I like to call a “Summer of 69,” the group broke up, I got married and took on a day job. It wasn’t until the summer of ’08 that my passion for singing and writing music could not continue to stay on hold. As a result of having a long talk with the man upstairs, the family packed up and moved to Music City. From there, I started getting out networking and performing which led to connecting with a couple singer/songwriters. We started performing the songs we wrote around Nashville. It eventually evolved into an Americana/Pop Country Trio named Amber’s Drive that ended at the end of 2016 after 3 years/500+ shows. This led to the beginning of creating my own solo project. Once we hit the studio running, I felt at home in what we were developing and bringing to life. TCS: How excited are you guys about the release of the new self-titled debut album? DM: Very…it actually is the first solo project I’ve ever had the pleasure of releasing (won’t be the last). It felt good, it felt right…it was a long time coming. TCS: From an in-studio perspective, which aspects of the album did you find least problematic to put together and which were the most troublesome? DM: My strength is vocal, so going in the vocal production was definitely the least problematic. On the trouble side of things, we didn’t really have any on the production it was mainly on the actual release date that was originally planned. Some ‘life events’ happened that were out of our control and we pushed the release date up to late Sept. The overall vision of the project came to fruition and the end result was something to be proud of. TCS: Personally, one of my favorite songs off of your album is a song called “And The Some,” so can you share with us some of the background behind the hit? DM: “And Then Some” is actually our first single release off the album. This song was written by Gary Cirimelli and myself. I had this progression and melody idea that I wanted to develop and I showed it to Gary after a previous writing session where “One Of Us Lied” was born. He loved it and said he wanted that to be our next write. I had written down ‘give 110 percent’ in my lyric notes from the saying “Always give 110 percent”. I’m a sports fanatic so I’ve heard this term many times. I thought it could be a great way to express to women how much you love them as if to say, “I love you this much…and more!” Gary said, “I’ve got all that you need, and then some?” and from there we knew we had something special and finished it before the end of the session. DM: The first time I stepped out on a stage was brutal and nerve racking. I wasn’t one of those kids that just was born on the stage. Though I wanted to be in the spotlight, I gradually over time became more and more comfortable with the stage. TCS: Tell us about the background story behind another great cut entitled “Somewhere I Gotta Be”? DM: I wrote this tune with a good friend of mine Nathan Picard. We had just finished up on a song when I told him I had this really cool melody idea I had thrown down really quick. It was so rough, I was almost too embarrassed to show him ~ but I did because that’s what you do ~ lol. I didn’t want it to be your typical country ‘train’ song though the lyric idea I had was “train, train don’t be late!”. It quickly developed into the urgency of this guy that has somewhere he’s gotta be. And he’s telling the train don’t be late and the plane don’t delay, because he’s got somewhere to be with his baby. Then Nate had this great line “no matter the miles it ain’t to far” which had this guy in the song willing to go anywhere it took to be with his love. We had a blast writing this song because it came together pretty fast. Once we established the theme it wrote itself. DM: We would get pretty creative in the studio to find the sound we wanted. One time we took bed mattresses out into the middle of the studio floor and made like a little 4 wall house and sang and played our instruments inside. Surprisingly it turned out amazing. It was weird and unusual but we got it done. We still experiment to this day in the studio ~ whatever we need to do to get the sound we are looking for. TCS: Another one of my favorite songs is the track called “You Don’t Have to be Lonely” so can you share with us the inspiration behind it? DM: I had written this chorus idea about a girl that was being ignored in her relationship. All I had was a rough recording of the chorus but I felt like it was strong enough so I showed it to friend and cowriter Mark Ham. We messed around with it a bit to see if we could come up with anything but nothing really was coming to us. So, Mark took the rough idea home and ended up getting inspired and ran with it lyrically. When we meet up a few days later to write he had written most all the verses. The song was pretty much finished apart from a few adjustments we made. DM: Truly, the best way to find out information about the Daniel Mason Band is by visiting our website at danielmasonband.com. On the site, you can listen to our songs, discover our upcoming appearances, order our album and purchase other merchandise. Additionally, Elle Bobier and her team of amazing people at Ethereal Promotions also do a lot of promo/social media for us at facebook.com/etherealpromotions. DM: This is a tough one, I really can’t answer specifically because I love so many. It’s like asking me which one of my children do I love more. Music to me is like a sixth sense. Like when you smell, taste, see or hear something and it quickly takes you to a moment in your life’s history. TCS: What do you think the world would be like if music was never invented? And, what do you think you would you be doing instead? DM: One word…BORING. I think it would be very boring. I’d probably be doing something constructive, some type of woodworking; like building houses. TCS: What does the short and long-term future look like for Daniel Mason? DM: In the short-term, I plan to do more writing, more recording and a lot more performing. The goal is to put together some tour dates and hit the road running to reach more fans with our music. We want to be classified as a working band, providing for our families while making music we love. We want to put the right people in place that have the same vision as we do for our music and want to see us be successful. In the long-term, I will always be writing music and (Lord willing) performing it. I believe the progress of our short-term goals will in return determine our long-term goals. Construction of the Eastern State Penitentiary, America’s most historic prison, began on a cherry orchard outside of Philadelphia, Pennsylvania in 1822. The chosen design created by British-born architect John Haviland was a technological marvel which consisted of seven wings of individual cell blocks radiating from a center hub; this was unlike any other prison design seen before the penitentiary opened in 1829. Eastern State, at its completion was the most expensive public structure ever built, is considered to be the world’s first true penitentiary. It was initially renowned for its Enlightenment-inspired efforts to reform inmates rather than merely punish them. Eventually, this system was abandoned in favor of solitary confinement and a Death Row block. The once-genteel penitentiary housed, at one time, the most notorious prohibition-era gangster – Al Capone. Capone’s private cell even allowed him to have fine antiques and Oriental carpets. The prison was designated a National Historic Landmark in 1966 and closed in 1971. It is now considered by several sources to be one of the most haunted places in America. The penitentiary has been featured on the Travel Channel’s Most Haunted Live, Ghost Adventures, and Paranormal Challenge; Fox Television’s World’s Scariest Places; TLC’s America’s Ghost Hunters; and MTV’s FEAR. Today, Eastern State Penitentiary is open for tours seven days a week, year-round. Visitors can explore the cell blocks and learn about the history of this facility and its relevance. Eastern State offers a daily guided tour with one of their expert tour guides, or visitors can take a self-guided audio tour, “The Voices of Eastern State” Audio Tour, narrated by actor Steve Buscemi. In this edition of The Creative Spotlight, I had the pleasure of interviewing Sean Kelley, Senior Vice President & Director of Interpretation and Amy Hollaman, Associate Director, Events and Operations; Creative Director for Terror Behind the Walls and asked them about the history, the correctional system of incarceration, notorious criminals who were incarcerated, the annual Terror Behind the Walls and “good to know” facts concerning the Eastern State Penitentiary. The Creative Spotlight: The Eastern State Penitentiary, which was designed by John Haviland and opened its doors on October 25, 1829, was considered the first true penitentiary. Why do you think it received this designation and what made it so controversial? Sean Kelley: Eastern State is considered the world’s first true penitentiary because of its intent, to instill penitence and true regret in the hearts of its prisoners. Eastern State’s focus was on achieving this penitence through silence, prayer, and labor, all of which took place in the solitude of inmates’ cells. Solitary confinement was a revolutionary concept when compared to prisons at the time, where inmates of all ages and crimes were housed together and physical punishment was the norm. Now, we can look back at the system of isolation that was so prevalent at the beginning of Eastern State’s history and recognize how, although it was supposed to be a solution to prison reform, it truly was harmful for inmates. TCS: For the benefit of those who are not familiar with the Eastern State Penitentiary, can you provide us with at least three “Good to Know” facts? Eastern State Penitentiary’s system of solitude was seen as a revolutionary concept in prison reform. But what we know now, nearly 200 years later, is that solitary confinement is incredibly damaging for people’s mental health. Architect John Haviland’s wagon wheel design of Eastern State has been copied over 300 times. There is a prison that looks just like Eastern State on every continent except Antarctica. The penitentiary had running water and central heat before the White House! TCS: Eastern State Penitentiary is touted as America’s Most Historic Prison. Can you perhaps share with us some stories about notorious criminals who were incarcerated there such as bank robber “Slick Willie” Sutton and Al “Scarface” Capone? SK: One of the most famous bank robbers in American History, “Slick Willie” Sutton spent 11 years at Eastern State Penitentiary. In 1945 Sutton, along with 11 other prisoners, escaped from Eastern State in an inmate-dug tunnel that went almost 100 feet underground. Sutton was recaptured just minutes later. Over the course of his criminal career Sutton is credited with over 50 bank robberies, three successful escapes from prison, and over 30 years served behind bars. Visitors can step into the cell and view the hole from which Sutton and 11 others escaped. Our visitors also enjoy viewing the cell of Chicago’s most famous mob boss, Al Capone. According to news reports, his time at Eastern State was spent in relative luxury. Reports stated that his cell housed a cabinet radio, oriental rug, and fine furniture. He also had his tonsils removed from the penitentiary operating room in 1929. Take a 360-degree panorama view of Al Capone’s cell by visiting kuula.co/post/7lL8y. TCS: Please explain Eastern State’s revolutionary so-called separate philosophy or correctional system of incarceration, dubbed as the Pennsylvania System of Confinement? SK: The separate system, or Pennsylvania System, was based on the idea that penitence would lead to reform. Through silence, spiritual reflection, and physical labor, criminals were supposed to find this penitence in their hearts and change their ways. The early system was strict. Inmates has no contact with each other, and even interactions with guards was mild. Meals were even passed through a feeding hole, limiting guard/inmate interaction further. When inmates were taken from their cells, a hood was placed over their head to avoid any contact. TCS: Can you please describe for us what an inmate experienced in the 1800’s under the Pennsylvania System of Confinement? SK: When Eastern State was designed, its architect had to create solutions to ensure the success of this separate system. Originally, each cellblock and individual cell was designed with similar architecture to a church, with high, arched ceilings and a single skylight. Because each cell was meant for a single inmate, each has its own exercise yard and flushing toilet. The penitentiary’s most famous architectural aspect is its radial design, with a central surveillance hub and seven cellblock which radiated from it much like a wagon wheel. This was to ensure complete and total surveillance to ensure control. As additional cellblocks were built over time, this idea of surveillance became harder and harder to achieve. TCS: Can you please describe for us some of the horrible forms of punishment that the inmates encountered when they broke the rules? SK: Eastern State officials mostly avoided physical punishments, though straightjackets and other restraints were occasionally applied. In the 1800s, Eastern State’s “silent system,” or “Pennsylvania system,” stood in opposition to the Auburn system of incarceration employed in New York State prisons such as Auburn and Sing Sing. The Auburn system housed prisoners in solitary cells overnight, but grouped them together during the day for silent labor. Auburn administrators used corporal punishment on those who broke prison rules, while Eastern State officials largely avoided such punishments. On occasion, Eastern State officials placed prisoners who became unruly or violent, and those who repeatedly disturbed the penitentiary’s silence, in restraints such as the “iron gag” and the “composing chair” (also called the “mad chair” or “tranquilizing chair”). One prisoner, Mathias Maccumsey, died after being placed in the iron gag for attempting to communicate with other prisoners. Another punishment that officials used on occasion in the 1800s was the “shower bath.” A “shower bath” was a punishment used by prison officials in which a prisoner was restrained and doused with water. Though solitary confinement had been used in the prison’s early years for rehabilitative purposes, by the early 1900s, solitary cells were reserved for those who broke prison rules. Infractions that resulted in solitary confinement included stealing items from the kitchen, fighting, gambling, cursing an officer, and other misconducts. TCS: Please share with us the specific changes that occurred to the Penitentiary in the 1900’s and how those changes affected the prisoners daily living conditions and interactions with other inmates versus the 1800s? SK: The separate system that Eastern State was so infamous for had begun to erode early on. By the late 1800s, inmates were issued hoods with— for the first time—eye holes. They would exercise together, in silence and anonymity. A congregate workshop was added to the complex in 1905, eight years before the Pennsylvania System was officially discontinued. With a large number of prisoners in an aging structure, the system of solitary isolation was completely abandoned in 1913. An issue that faced the wardens of Eastern State, which we still face today, is prison overcrowding. As the penitentiary took in more and more prisoners, the separate system was no longer realistic or achievable. The original seven cellblocks were no longer enough to hold inmates, and by the time the penitentiary closed in 1970, an additional 8 cellblocks had been added. This compromised both the system of isolation and surveillance that was so pivotal in the 1800s. TCS: By 1965, the Federal Government designated Eastern State Penitentiary as a National Historic Landmark. In 1971, it was closed. Can you describe for us the various proposals the City of Philadelphia had for the property after it purchased it for redevelopment? SK: Eastern State sat abandoned for about 16 years before it went up for sale in 1987. Developers placed bids ranging from $2.5 million to $3 million. Suggested developments included a condominium complex, a supermarket, restaurants, and a nightclub. The following year, the preservationist group Eastern State Task Force (which would eventually become Eastern State Penitentiary Historic Site, Inc.) was formed and the first limited group tours of the prison are offered. The rest, as they say, is history. TCS: Please describe for us what the public can expect to see or encounter during one of the historic public tours? SK: There is something for everyone at Eastern State. We offer a daily guided tour with one of our expert tour guides, or visitors can take a self-guided audio tour, “The Voices of Eastern State” Audio Tour, narrated by actor Steve Buscemi. Eastern State also features history exhibits and a critically acclaimed series of artist installations. Visitors can enjoy Hands-On History interactive experiences which allow visitors a closer look through short demonstrations with our expert tour guides. Our latest exhibit, Prisons Today: Questions in the Age of Mass Incarceration, looks at our nation’s skyrocketing incarceration rate and the driving factors behind it. Eastern State sits on nearly 11 acres, so we encourage visitors to walk around and explore everything the museum has to offer! TCS: When do you start preparing for Terror Behind the Walls and tell us what exactly goes in to the overall preparation process? Amy Hollaman: Terror Behind the Walls, America’s largest haunted house, is located inside the massive, castle-like walls of Eastern State Penitentiary. This extraordinary theatrical production is consistently ranked among the top haunted attractions in the nation. Preparation takes place year-round, and once the event is up-and-running it takes an elite team of 14 makeup artists almost three hours to prepare the cast of more than 200 performers each evening. Terror Behind the Walls is the single largest source of revenue for Eastern State Penitentiary Historic Site, Inc., the 501(c)3 tax-exempt, charitable organization that administers both the daytime prison tour program and the Halloween fundraiser. Since 1991, Terror Behind the Walls has raised more than $5.3 million to fund preservation efforts at this National Historic Landmark. With the help of Terror Behind the Walls, Eastern State Penitentiary Historic Site is thriving. Daytime prison tours are available every day, year-round, from 10 am to 5 pm. TCS: Terror Behind the Walls an annual Haunted House Halloween event, consists of six startling attractions. Can you please describe each of the attractions and tell us what you feel entices visitors from across the country to attend year after year? Lock Down: The creatures of Lock Down: The Uprising have risen to TBTW from the depths of the darkest universe. They are agile, ruthless, and hungry for flesh. They have no law, no chain of command, no concept of confinement. Machine Shop: Hidden deep inside the cell blocks is a long-forgotten Machine Shop. Evil pervades this space – an evil with one mind but with many bodies. Infirmary: The Infirmary takes the fear of hospitals to a whole new level. Discover the world of prison medical treatment, including shock therapy, hydrotherapy, and other torturous experiments gone wrong. Quarantine 4D: Flat walls appear to have depth, creatures emerge from seemingly nowhere, and some brave visitors will be challenged to face their worst fears. Break Out: Inmates surround you using every way imaginable to escape. Keep an eye out at every corner, as inmates may even be using YOU to aid in their attempt to gain freedom. Blood Yard: The carnage sends a clear message: You could be next. Hunt or be hunted! TCS: Can you describe for us the coverage that Eastern State received on Travel Channel’s Ghost Adventures and Most Haunted Live, Syfy’s Ghost Hunters, MTVs Fear and others? Donna Melanson, ERYT200/ RYT500, is an experienced yoga teacher who teaches weekly classes and special events in collaboration with businesses and corporations in the Boca Raton, Florida area. She has studied yoga principles for years but has been fully teaching since 2011. Donna is the founder of Azul Yoga and Azul Yoga Institute. She recently graduated her inaugural class of yoga teachers who have been trained in the Melanson Method, which is an amalgamation of the best parts of her training in several yoga disciplines including Vinyasa, Restorative and Yin Yoga, Yoga Nidra, Pranayama, Vedic Thai Yoga, and Meditation. In this edition of The Creative Spotlight, I had the pleasure of interviewing Donna Melanson and asking her a few questions about her educational and professional background, her perspective on yoga, her wellness philosophy, her daily live video streaming Sunrise Beach Yoga and Meditation on Periscope and Facebook Live, and her upcoming yoga retreat. The Creative Spotlight: How and when did you decide to embark in your profession as a Yoga Instructor and how many years have you been teaching? Donna Melanson: I became a yoga teacher after years of pursuing all the things that I felt that I should be doing; Go to college, start a family, provide for that family, keep your head down, sacrifice, and work. Divorced, single for ten years, raising children as a single parent, while being self-employed left me feeling very empty. I was very successful in business and then I wasn’t, life happened, as it always does and I found myself reinventing my life. This time I told myself I going to recreate my life in the way I want to live and be in this world. At the time I was reflecting and making my decisions I owned 100 acres in the mountains of North Carolina I would go there often and hike the land and commune with nature. It was the first time in many years that I would do something for myself and I felt truly happy and at peace. As I walked in the silence of nature I kept hearing the chant Yoga Yoga Yoga in my head in the way they said Toga Toga Toga in the classic movie Animal House. I wanted to practice yoga at the top of the mountain for some unknown reason. I didn’t know anyone who practiced yoga, and really didn’t know much about it. I must have talked about it a lot because a friend gave me a 30 min VHS gentle yoga tape and a too small too flimsy yoga mat. I started practicing every day and it left me in a deeper state of peace. A state that I could be in without having to go into the woods. I knew then that this was the path that I wanted to go in. This is how I wanted to live in this world. I’ve studied for years and have been fully teaching since 2011. TCS: In your own words what is yoga? Additionally, please discuss for us some of the benefits yoga has for children, teens, and seniors? DM: Yoga is the uniting of the body, mind, and spirit, and it’s this union that allows us to live in a more effortless state of being. When are body is settled, our minds become settled, and it allows us to see clearly. In this clarity we connect to the spirit not only within ourselves, but we begin to see this divinity in everyone else as well. Yoga is perfect for children, teens, seniors, anyone, and everyone at any age, at any level of fitness, or any ability to stretch. We all have to start where we are with what we have. The first yoga sutra states that yoga begins now. Meaning now in every present moment. Our yoga practice is about introspection, so we’re tuning in to ourselves discovering more about yourself. Noticing habits and patterns while connecting with the true nature of who we are. We practice these things on the mat doing the best that we can in that moment even if the best we can do is just show up and imagine doing the postures in our head that day. We show up, we practice, we get stronger in both our mind and body, and we practice these things on the mat so that we can take them off the mat and into our lives. TCS: For the benefit of those who are not familiar with Donna Melanson or Azul Yoga, please share with us your education, certifications, training, and/or additional qualifications that you possess? DM: I’m an experienced yoga teacher ERYT 200/RYT500 and have also had formal training in Yin, Restorative and Vedic Thai Yoga. I’ve had the opportunity and benefit of being with some of the top teachers in this country, I love my training and I love everything about my job, and I will forever continue to be a student of this practice. TCS: How many different types of yoga do you teach and is there one specific style that you prefer and why? DM: I teach Hatha, Vinyasa, Restorative, and Yin Yoga. I prefer the mindful meditative gentle approach to any style I teach. TCS: As a Yoga Instructor what is your overall wellness philosophy? TCS: In your opinion, what do you think draws people to yoga and specifically to participate in your program? DM: I think people are looking for something when they find yoga. And, I’ve often wondered what drawls people to my program. Certainly there are many instructors who are stronger and more adept in the postures, and certainly there are people who are more well versed in every aspect of yoga. But what some have told me it’s just who I am, and I only assume that they yoga has changed me and does affect every sense of my being, and that people feel that. TCS: What advice do you have for people who have never tried yoga? And, why do you think some people may feel intimidated by yoga? DM: I think many people are confused about yoga and I have to admit it can be a little confusing if you don’t know anything about yoga because now there are as many types of yoga as choices in types of food. A big difference between a scoop of white rice and a meal that may be served at a fine French restaurant. Many people come to me and think yoga is about stretching, and others think it’s more of a power exercise class, where you need a prerequisite in gymnastics to attend. So it’s no wonder it’s intimidating. Truth is, just like finding what foods you like. You may have to try a few different styles of yoga, and then once you fine a style that resonates with you may need to try like chef’s different teachers to serve that style to you. Whatever style resonates with you will all help to lead you down the same path. Many studios offer yoga basic classes to help you get started. Just remember it’s your time on the mat. Pay attention to your own body and do what’s best for you. TCS: In a class full of people with wildly different aims, how do you strive to keep everyone engaged and motivated? DM: There are many factors that can keep people coming to your class or keep them away. All you can do is show up and give the best class that you can at the moment. With the intention that they receive everything that they need at that moment. TCS: Can you describe some of the safety precautions you take during your yoga class sessions to prevent injuries? DM: I’m not a doctor, although I do know a lot about anatomy, therefore I never ask people about injuries. If, however someone wants to talk to me about their injury before or after class I’m happy to talk to them about how they can accommodate to protect themselves. If I witness someone during class struggling I let them know that they are free to come out of the pose. I give everyone permission listen to their bodies and to not do any pose or adjust as needed. Yoga as I said is about self-awareness. We need to learn to tune in and trust our innate intuition on what is best for us. TCS: Tell us how you discovered live video streaming on Periscope and describe for us your Sunrise Beach Yoga and Meditation? DM: I’ve been streaming on Periscope for about six months. I started after moving to close to the beach a year and a half ago. I wanted to create the daily habit for myself of yoga and meditation at sunrise at the beach, a desire that come to me during my first yoga teacher training many years before. I started going to the beach every morning and it was so beautiful and t was so inspiring that I felt that I had to share. So over a year ago I started posting photos to my Instagram account with inspirational sayings. While on the beach one morning I ran into a friend who told me about periscope. So I began. That’s how things happen right, it’s about just showing up and just doing it, and you set the intention to help, and hopefully you do. Periscope has propelled me to a higher level. Broadcasting to people from all over the world suddenly gaining well over 20,000 followers and still growing. Alternate Nostril Breathing – We practice alternate nostril breathing to clear energy pathways. When the left side, which is the feminine side, is clear it brings us more peace and serenity. When the right side, the masculine side is clear it gives us more energy. So when we practice flowing back and forth alternating the nostrils, we balance and get that perfect blend of strength and peace. Child’s Pose – A relaxing posture that is great for digestion. The forward flexion massages the abdominal organs, and helps release muscular tension along spine into the hips. It’s a great time to take a moment to honor yourself, honor your body, and your time on the mat. Downward Dog – Strengthens and stretches the legs, arms, and shoulders. Creates balance, integration, and grounding of the whole body. Helps to calm the nervous system. Gratitude Meditation Meditation – Is meant free our awareness from identifying with our thoughts and what we’re sensing. When we practice gratitude meditation or any meditation where we are concentrating on one thing, be it gratitude, our breath, or a mantra, it’s the first step in learning to have awareness in every moment but not to cling to our thoughts that keep popping into our heads. Aware that they are there but then letting go, as we focus our attention on one thing. Meditating on gratitude specifically allows us to shift our thought to all that is good and working. We shift our thoughts because our thoughts become words, and our words become actions, and our actions become our present reality. We want to live in a world where we have more things to be thankful for, so this where we need to begin. Lotus Pose Increases – Flexibility in the hips, legs, knees, ankles and feet. It strengthens the core and helps to develop good posture. Mountain Pose – Teaches us the basic alignment for all poses. You are grounded and you pause here to witness your conscious thoughts with detachment. Plank – Strengthens your overall body especially your core. Tree – Strengthens the legs and your core for balance. Warrior – Helps to increase flexibility in the hips and shoulders, strengthens the core. In fact, all muscles are engaged as they are in every pose but they’re softened after engagement. We want a little bit of movement in a lot of places. We want all muscles involved and working. So here in this warrior pose is a great place to feel the strength of the warrior and the peace of the yogi. Strong but soft. TCS: Are there any celebrated situations where you feel you’ve made a huge impact in someone’s life? DM: I can’t really speak to how huge an impact I’ve made on other people although I have had people come up to me, call me and write me in gratitude. But I can speak to the huge impact I’ve made on my own life. I once looked on the outside as a very lucky and successful person. I had money, cars, and many other “things”, but I wasn’t happy and I tortured myself in my mind with thoughts. That’s what yoga did for me, and it’s why I want to share and teach. I know that happiness starts here, and I want everyone to get to this place of peace. DM: My mantra is So hum meaning – I am. I am on the sense that we are connected to all things. TCS: I understand that you’re planning a Yoga Retreat for your Periscope audience so can you please provide us with specific details regarding your upcoming program scheduled for January of 2017? DM: Yes, I’m currently planning a yoga retreat for January 2017 – New Year, New Beginning. The beginning is now. With that, I invite you to join us at the oceanfront Wyndham Deerfield Beach Resort in Deerfield Beach, Florida to start the new year with peace, love, and joy on and off your yoga mat. Our five-day/four-night retreat will include two yoga sessions daily, sunrise meditation on the beach, breakfast together, conversations, community and plenty of free time for you to swim, enjoy the watersports, fish from the pier, shop, have a massage or just relax. TCS: For those suffering from low self-esteem and deep rooted emotional issues what specifically do you bring to the table to help them discover and/or focus on making improvements to their overall health and well-being? DM: That’s a big question, and again I’m not a doctor, but I do know what helped me, and I do believe that the practice can help anyone. There are 8 limbs to yoga, and when we have time to dive deeper into these limbs they all help to get us to that place of peace and self-acceptance. Our minds and bodies are connected so when we practice the totality of yoga. The breathing, the physical practice the mindfulness, the meditation, the observances and restraints. We not only become stronger physically but mentally. The photography shown in this article was shot by Andrea Blakesberg Photography. Beyond Today, a hard rock band, started with Guy Johnston, Cory Burke, and Tony Trujillo in June of 2013 in the Lewiston, ID & Clarkston, WA valley areas. Within just a couple weeks of beginning the project, Beyond Today had already written a handful of songs that were ready to be recorded. They chose Amplified Wax Recording Studio in Spokane, WA as their production destination. Beyond Today completed recording their debut EP in just 2 days. Once they finished the process, they added their forth band member, Vaughn Knoeppel, and started playing shows in Palouse, ID, one of which gathered over 2,000 attendees. Beyond Today made a name for themselves in their hometown of Lewiston, ID with the early release of their song “Colors” on their local rock radio station Z-Rock 96.5 FM. The song was selected to be a part of the Z-ROCK KOZE Cage Match against big name acts. They won all 5 nights in a row securing their spot in the Z-Rock Hall of Fame. Once their debut EP was released in October of 2013, they started to pick up even more ground, with requests to have them play all over the Northwest. To that extent, they won 2nd Place at The Gorilla Music Battle of the Bands Finals in Spokane, WA. In this edition of The Creative Spotlight, I had the pleasure of interviewing Tony Trujillo, the bassist and backing vocalist of Beyond Today, and asking him a few questions about his musical influences, his songwriting and recording process, his upcoming tour schedule, and his new album The Artificial Heart. The Creative Spotlight: How did you come up with the band name Beyond Today? Tony Trujillo: Beyond Today started back in June of 2013 in the Lewiston, ID & Clarkston, WA valley. Guy Johnston (our lead vocalist) and I were in a previous project together. We had, at the time, booked studio time to record a handful of tracks with that project but we switched gears to lean more towards the rock side of things, wanting to get that energetic live show aspect going rather than the lighter “indie” stuff we were working on prior. With that studio time already booked, which was only a month out, we realized we needed to get some songs done quickly. During a two week period of that short time before recording what would ultimately become the basis of our sound and identity, we buckled down and got to writing, fleshing out previous riffs, and wound up finishing seven songs for our initial EP. When it came time to record, which we only had three ten-hour days to complete, we still hadn’t come up with a band name yet, dozens were tossed around but we settled on Beyond Today because it was something that just grabbed us. It was also a kind of mantra for us, as in always looking beyond today to what’s next and to push ourselves to the best of our ability to be able to continue to grow as people, musicians, and a band to get there. TCS: At what age did you first realize that you wanted to be a musician and whom or what would you say inspired you? TT: I’d have to say I first realized I wanted to be a musician after seeing a Saliva/Default show when I was about 10 or 11 years old in New England. Something about the atmosphere and the energy of their performances just got my total and complete attention, from their music, to the stage presence, and the lighting and effects of the show. I’ve been involved in music ever since. TCS: For the benefit of those who are not familiar with Tony Trujillo or the band Beyond Today, how would you describe your musical genre? TT: Hi, I’m Tony Trujillo of Beyond Today, in which I play bass and do the backing vocals for the band. Guy Johnston, is our main vocalist, and plays guitar and piano. Jeremy Wilcox is one of the main guitarists along with Paul Nims, and Tim Thornton is the man on the drum throne. Beyond Today’s genre can be classified as Rock/ Alt. Rock/ Hard Rock/ Post-Grunge. We get compared a lot, with our similarities, to; Shinedown, Seether, Theory of a Deadman, Killswitch Engage, Saint Asonia, Breaking Benjamin, and many others which I can’t quite recall off of the top of my head. Those ones we certainly hear more often than not though. TT: I followed a lot of the 90’s and 2000’s rock, hard rock, and metal bands growing up. Some of my favorites were Metallica, Ozzy, Papa Roach, Fuel, Chevelle, Korn, Disturbed, Crossfade, Linkin Park, 3 Doors Down, AFI, Cold, Theory of a Deadman, Default, Saliva, Filter, Big Wreck, Thornley, Deftones, Soundgarden, Thousand Foot Krutch, Pantera, Anberlin, Jerry Cantrell, Alice In Chains, and Three Days Grace, just to name a few. Music is almost all about listening, and I certainly learned a lot listening to those bands. A lot with phrasing, how notes move together to create the triads and chords used in constructing songs, and how syllabic rhythm played a role in vocal lines, melody, and lyrics. TCS: Take us behind the scenes in the making of your new full length album entitled The Artificial Heart. What was your favorite part of its production and the most challenging from an artistic perspective? TT: We started the writing process on the album back at the end of 2014, and started the recording process in March of 2015. This album was a lot of fun for us as a band. We wanted to feed off of the response we received from our EP namely with our song “Colors”. We wanted to build upon what we did with that and create some more high energy in your face kind of rock in our own way. We also re-recorded some of the older tunes to match the sound we were originally going for had we not been cut short on the recording time in the beginning of the band. That made the album full length with thirteen songs. It was quite the feat for us, but was always a goal we had, to get a full length out to really showcase all of the different songs we have. My favorite part of the album recording process was the production of it. After the “scratch tracks” were recorded we really got to dive in and add things such as effects, harmonies, strings, and other interesting sounds that made the songs really stand out and become more and more personal to us. The challenging part was finding “that” sound with guitar tones and making them really punch. Luckily we came across the amps by the name of Kemper Profiling Amplifiers. Which allowed us to get the sounds we were after, making that larger than life guitar sound that we were after. TT: The concept behind the song “The Artificial Heart” was from the viewpoint of falling in love with someone but they didn’t feel that they were good enough for you, so you’d wait as long as you could because you knew that a relationship with them could really be something great if not wonderful, and trying your damnedest to help them see themselves in a better light as it were, but sometimes the ‘waiting’ can cause too much pain on both sides. The video that Jimmy did was kind of out of the blue, we already had some ideas for one that we would shoot, but he did one for our song “Starlight” that was pretty cool. He made the video for “The Artificial Heart” and we thought it was a pretty cool interpretation. TCS: Can you describe for us the background to the hit single entitled “Stay” that also appears on The Artificial Heart? TT: “Stay” is another one about a snapshot in a relationship, in where you first meet the person, and just want to really stay with them and lose yourselves in each other. It’s about that moment. That first sight kind of aspect. TT: One of the strangest places I’ve played personally was during a show at night outdoors, when a torrential rain storm struck and soaked just about every piece of gear, but the show went on, until it cut the power. It was pretty fun, except replacing the equipment afterwards. TCS: Tell us about the Beyond Today song writing, recording, and video production process behind the song “Sunburnt Cradle”? TT: That one was just a song we wrote quickly that had a really good feel to it. The lyric video I made in after effects. I actually do all of the graphics and things in that nature for the band. Saves us a lot of money not having to hire out. TT: One venue that I’ve always wanted to play is the Whiskey a Go Go in West Hollywood, California. I’d love the opportunity to play with the likes of Victor Wooten, Marcus Miller, or Stanley Clarke. They are some killer bass players. TCS: In what ways do you market your appearances, sell merchandise, and stay connected to your fan base? TT:We try to look as professional as we possibly can. We make attention grabbing graphics and sell interesting one of a kind merchandise items, including dog tags, shot glasses, leather wrist bands, and other knick-knacks. TT: Definitely one band everyone should check out is a band out of Tennessee called Skytown Riot. We toured with those guys back in 2014, My favorite song by them would have to be “Runaway Princess” or “Soul or System”. TCS: What does the short and long-term outlook look like for Beyond Today? TT: We’ve got some really cool shows planned for this summer. In June, we are headlining The Knitting Factory in Spokane, WA. Later this Summer/Early Fall we plan to go into the recording studio and do pre-production on the next album which will be out spring of next year. We also have some other very big things in the works that we’ll be announcing later on, as well as some music videos. You’ll just have to come check out what we got coming up. Have you ever wished you could experience the masterful voice of Ann Wilson, the craftsmanship of guitarist Nancy Wilson, and the rest of the legendary Rock and Roll Hall of Fame group hailing from Seattle, Washington known as Heart? If so, then Kick It Out A Tribute To Heart, based in the Philadelphia, Pennsylvania and South New Jersey area, featuring long-time friends Sandy Hall and Susan Salmon is a must-see experience for you! Kick It Out is a tribute band that was born out of a sincere respect, admiration, and love of Heart and their incredible and timeless music. As fans, all the members of Kick It Out have followed the Wilson sister’s careers since the early 1970’s. As musicians, the band feels passionately about performing Heart’s music with authenticity and integrity. Kick It Out, a collection of seasoned musicians and performers experienced in both national and international music communities, is committed to providing all the power and adrenaline of a Heart concert while always staying true to the soul and magic of their unforgettable songs. For those eager “to keep the love alive”, it’s an experience guaranteed to leave audiences thrilled, emotionally engaged, and moved. In this edition of The Creative Spotlight, I had the pleasure of interviewing Sandy Hall, Susan Salmon, and Joe DeLuca from Kick It Out A Tribute To Heart and asking them a few questions about their musical influences, their career as a tribute band, their set list, and their past and upcoming performances. The Creative Spotlight: Can you introduce us to the Kick It Out A Tribute To Heart lineup and share with us how you decided on the band name? Kick It Out: We were throwing around some Heart song titles as names and many of them had already been taken by other Heart tribute bands all over the country, so our guitarist Billy Salmon thought that Kick It Out would be a good band name. The song “Kick It Out” appears on the Little Queen album. TCS: So how long has Kick It Out A Tribute To Heart been playing together and how did you get started? KIO: We were out performing during the Summer of 2009. I started talking to our original bass player Chris Hall and Jeff Gordon (former KIO drummer) who I have known since my teenage years and Susan Salmon (KIO guitarist) that I knew from Archbishop Ryan High School believe it or not about forming this band at the end of 2008. I believe we started talking about it after I saw Heart perform at the Susquehanna Center in Camden NJ with Journey and Cheap Trick. I thought…you know…I would LOVE to do a tribute to Heart and I know exactly who would be the perfect “Nancy”….Susan Salmon! Wow! I can’t believe it has been THAT long! I have always been and still am a BIG Heart fan. Moved and inspired by their music ever since I heard the album Dream Boat Annie. Ann and Nancy Wilson were a big inspiration and reason why I started singing professionally. It was the love of and connection to their music really. The music is challenging and vocally like a master vocal class. It takes a lot of stamina, power, and control to sing those songs for up to 2 hours. TCS: At what age did you become interested in music? And, who or what inspired you to pursue a career as musicians? Sandy Hall: I was in grade school, like maybe 3rd grade and I fell in love with music. I remember singing Karen Carpenter songs, The Beatles, Elton John, The Who, Jefferson Starship, and of course HEART. I would say that Ann and Nancy Wilson, Pat Benatar, David Bowie, The Who, Led Zeppelin, The Pretenders, and Stevie Nicks all of them inspired me to purse music as a career. Susan Salmon: I became interested in music at the age of 3. My mother was a piano teacher and she inspired me to pursue a musical career. Joe DeLuca: For me, my love of music began when I was 10. I remember listening to my sister and brother’s 45’s of The Beatles, 3 Dog Night, The Doors, Motown, and etc. TCS: Sandy did you think early on that you sounded like Ann Wilson or was it something that you discovered over time? SH: Early on I actually felt and identified with Karen Carpenter’s tone and vocals in the alto/lower vocal register. Then when I started to really wail and rock out songs like Jefferson Airplane’s “White Rabbit”, Led Zeppelin’s “Black Dog”, and Bette Midler’s version of “When A Man Loves A Woman” from the movie The Rose…well then I really started to appreciate the female rock vocal and of course I started singing Heart songs like “Magic Man” and “Crazy On You” and I really did identify and connect to the upper range and power vocals of Ann Wilson. If you listen to those songs….you almost hear that lower warmer tone in the lower range and then the build up and jump to the full voice wailing. It was a combination of the Karen Carpenter tone and then some Robert Plant wailing in the upper range. It was challenging, yet very moving on a deep, deep low in the gut level kind of soul connection vocally. There is something really freeing when you sing in a strong full voice in that higher vocal register. Certainly there is an adrenaline high there. I like a challenge so naturally I felt that singing Ann Wilson’s songs would help me become a better vocalist. TCS: Why do you guys think tribute bands have become so prominent in the past ten years or so? And, has Kick It Out A Tribute To Heart ever been criticized for being a tribute band? KIO: Well, some artists like Queen, Pink Floyd, Genesis, Led Zeppelin are just not touring anymore or very infrequently and there is a desire in people to hear the music live in a nostalgic way and more frequently. You know recreate the feeling of that music that you fell in love with as a kid in a more intimate way….in a small venue instead of a large stadium in the nose bleed seats where you are looking at the artist over a big projected screen. Personally, I think people want to hear the music that they love live and in person and feel the connection to the music during a live performance. Tribute artists like Kick It Out channel the original artists during a performance in a smaller more accessible intimate level at a venue where they feel more connected to the artists and also at a more affordable cost as concert tickets are through the roof. As for being criticized as a tribute band. No, Kick It Out has not been criticized for being a Heart tribute band. Although I know there is a school of thought out there that musicians should only perform their own music. My answer to that is that classical musicians in a way are playing covers and not their own original music and the very, very best are playing a piece as close to the original written music as humanly possible. So in a way that is what tribute artists do also. Ha!! And, I have to say that people do have a very high expectation of you when you put it out there that you are paying a tribute to what many consider the greatest female vocalist of this generation. That’s a lot of pressure actually. You can feel them checking you out and ready to put you down. I do my best to do a respectful tribute. Not an imitation. Of course, you want to recreate the experience for people so you do what you can to channel the original artists. A tribute is by definition an act of gratitude, affection, respect, and honor. TCS: Let’s talk about the music for a moment. When you’re in a tribute band, obviously your music will be picked apart and compared to the original. So how did Kick It Out A Tribute To Heart sculpt its sound and its stage performance? KIO: I think it comes very naturally for us. We all connect to the music and love it so playing it was easy even though the songs are challenging. When you love something you do your best to play it well. The stage performance is a combination of who we are and our own individual personalities with the understanding and intention of “channeling” the energy of Heart. You want to channel that energy and essence so that the audience can “feel” the songs as if they were at a Heart concert. But I do really feel that we all are infusing our own individual presence on stage in our performances. Again….it’s not an “imitation or impression” of Heart and their music …it’s a “tribute”….our tribute. TCS: What do you guys feel is the hardest aspect of re-creating a Heart show? KIO: For me it’s the stamina and power needed sing up to 2 hours during each show. It takes a lot of vocal control and lung power. I also feel that we would all agree that it is frustrating if you don’t have a good sound tech who knows the songs and they don’t turn up the guitars when they need to be up front and also for me it is essential to have good in ear monitor balance and mix as I depend on that to sing in pitch and not blow out my voice. If all that is in place…it’s a blast and not hard at all. TCS: What do you feel sets Kick It Out A Tribute To Heart apart from other Heart tribute bands? KIO: There is an aspect to my voice that has a similar timber and tone on these songs and power and energy on the high notes. Of course there is a visual resemblance that Susan and I have to Ann and Nancy. Additionally, Susan can actually play Nancy’s parts on both the guitar and mandolin whereas many Heart tribute bands don’t have that . She is a top notch musician. The band is made up of seasoned professional multi-talented musicians with excellent stage presence and high energy. Billy has that early Roger Fisher vibe going on too and is an excellent player and performer. Same goes for the other members, Mark Evans is a top notch pro all the way around, Ritchie DeCarlo, and Joe DeLuca also…pros with great attitudes. TCS: Have you played with any other Heart tribute bands and if so what type of reaction have you received? KIO: No. We have not. TCS: How many gigs does Kick It Out A Tribute To Heart play annually and what and where are the venues in which you’ve performed? KIO: We are a specialty act so we don’t play every week. On average we play about 10 to 12 good gigs a year. We don’t want to over saturate the area and Heart also is actively touring every year. We want to give people the music when they miss a Heart show or when they are not touring. All of us are also all involved in other music projects and we try and balance all of that out. We have played as far south at Virginia and north up to Boston and in between. We love outdoor music festivals, amphitheaters, casinos, and theaters like Delmarva Bike Week, Penny Pack Park, Sellersville theater, Scottish Rite Theater, Showcase Live in MA, Delaware Park Casino, Hollywood Casino, Wildwood Crest Concerts. In 2015, we played at the Burlington Amphitheater and La Costa in Sea Isle, New Jersey. TCS: What are the most requested Heart songs at your shows? TCS: Has Kick It Out A Tribute To Heart ever performed internationally? And, if you could perform in any venue in the world right now, national or international, where would that be and why? KIO: No we have not performed internationally. We would though for the right situation and venue. There is a great festival in Akron, Ohio called Lock 3 that would be awesome, perhaps a cruise like Monsters of Rock (MOR) which our bass player who is also a front man/writer, Mark Evans just played MOR with his original band Heaven’s Edge. We love big stages, big crowds…anywhere where there are people who love Heart music and where the stage and sound are professionals. Why? Well it is an unbelievable high to play to a huge crowd….the energy is infectious and we would get to travel and see the world. TCS: Of the songs that Kick It Out A Tribute To Heart plays from Heart’s extensive library which are your most and least favorite? Equally, is there a song from Heart that you guys really love that is not included in the set currently? If yes, then why. KIO: We love “Crazy On You” and “Rockin’ Heaven Down”. The song “Alone” is also great and very moving and powerful too. I don’t think that we picked up songs that we didn’t like. Then again, we love them all. Ha! I would love to do “Mistral Wind”. Very powerful, magical song we just have not had a chance to add it to the set yet. The great thing about this band is that we play these great songs that we love. TCS: Individually, what’s your favorite Heart song of all time? SH: For me it is “Crazy On You” from Dreamboat Annie. SS: It is really hard to choose a favorite. It switches all the time. Right now, the song, “How Deep It Goes” from Dreamboat Annie plays in my head. Before it was “Sylvan Song” and “Dream of the Archer” both from Little Queen. I like the more obscure songs that show a lot of Heart. KIO: The toughest challenge is always with sound and mix. The outdoor shows can be challenging in that way as wind and weather can really affect how it all turns out. We try and go with the flow and do the best show we possibly can no matter the obstacles. TCS: How do you market Kick It Out A Tribute To Heart songs, merchandise, and appearances? TCS: Has anyone in Kick It Out A Tribute To Heart met any of the members of Heart? And, how thrilled was the band when Heart was inducted into the Rock and Roll Hall of Fame in 2013? KIO: We were thrilled of course! It’s about time they were recognized for their contribution to music as musicians and women! I (Sandy Hall) have met Ann and Nancy 3 times now. The first time was back in the 80’s when they came to Philadelphia on tour. I got to go back stage and meet them and hang for a while talking with Howard Leese. That was a really cool experience and a real spontaneous hang. I was so star stuck and shy and didn’t say very much to Ann and Nancy except “you are so great”. The last two times were recently during their organized VIP Meet and Greet thing before the show. During one of those two sessions both Susan and I met them together. They were nice. TCS: Besides Kick It Out A Tribute To Heart, if you could play a set with any artist alive or dead who would you choose and why? SH: I would love to play/sing with Ann Wilson, Robert Plant, and John Lennon all were inspirational to me. SS: Probably Jeff Beck. I love the feel of his playing. JD: I would love to play to play a set with Tom Petty, Leon Russel, Joe Cocker, Alice In Chains, and Soundgarden. TCS: What’s the short and long-term future look like for Kick It Out A Tribute To Heart? KIO: We just want to keep doing what we are doing which is having fun playing songs that we love with great band mates who are also family and friends. We would love to do more of the larger spring/summer venues where the people go crazy for the music! TCS: What advice do you have for new tribute bands trying to get established? KIO: Do it because you love and connect to the music. The money is secondary and won’t always be there. Get a good agent or person in the band that books you in the right venues. Don’t over saturate your audience locally. Be very selective about what venues you play.